Paolo Conteh, Sierra Leone’s defence minister and head of the country’s National Ebola Response Centre, was an athlete who set a 400 metres national record in 1982 that remains unbeaten to this day. These days, Mr. Conteh uses a sporting analogy to explain the fight against the Ebola virus disease, which has resulted in more than 22,000 infections and over 9,000 deaths in the three most affected countries of Sierra Leone, Liberia and Guinea. On the ground, there is a strong sense of imminent victory in the three most affected countries. Medical practitioners, contact tracers, burial teams, surveillance teams, social mobilizers, logistics providers, and others working to end the virus are in a somewhat boisterous mood. Compared with the figures in the last months of 2014, Ebola transmission has declined significantly. By the end of January 2015, there were only three patients in the African Union-run Magbinthi Treatment Centre, in northern Sierra Leone. “With few Ebola patients, we are planning to start treating others who test negative to Ebola but may have other illnesses,” the coordinator of the Centre, Dr. John Ssentanu, told Africa Renewal then. They were treating diseases such as malaria or typhoid until the clinic was finally shut down in February. 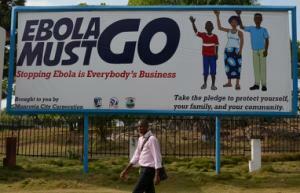 The sudden decline in Ebola transmission is a welcome surprise. The US, which had sent some 2,800 troops to Liberia, announced in mid-February that its troops would pull out by the end of April 2015. “We have bent the curve of the epidemic and placed it on a much improved trajectory,” reads a White House statement. 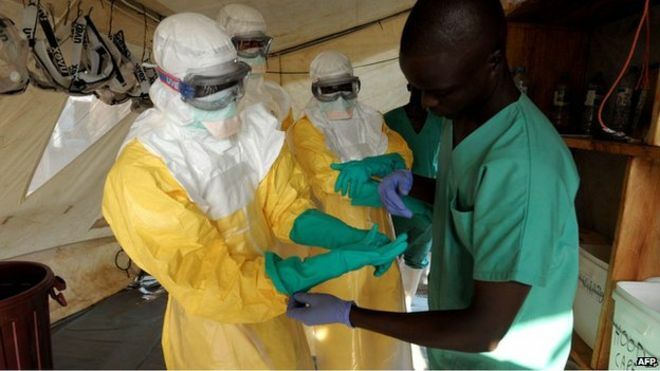 But it was just in September 2014 that the US Centers for Disease Control and Prevention (CDC) predicted that there could be 1.4 million Ebola cases in Africa by 20 January 2015. 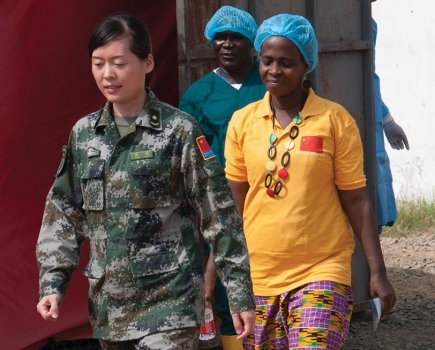 The leaders of the Liberia, Guinea and Sierra Leone are walking a tightrope, trying to return their countries to normal life yet warning that the Ebola fight was not over yet. Last November, Liberia lifted the state of emergency declared in the wake of high transmission and reopened schools in mid-February 2015. Sierra Leone eased travel and trade restrictions and reopened schools in March.